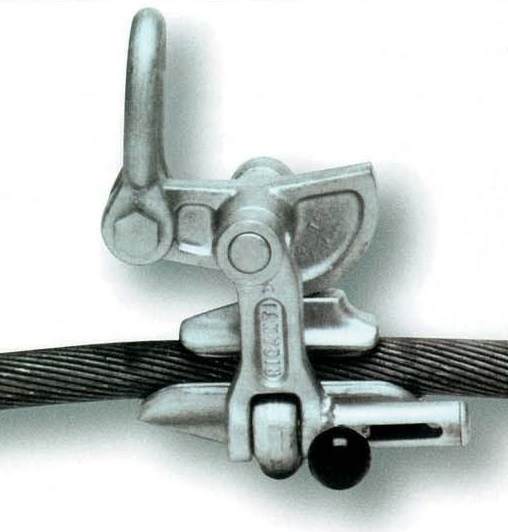 Conductor self gripping clamps (Come along clamps) Stringing Equipment: Izumi Products. 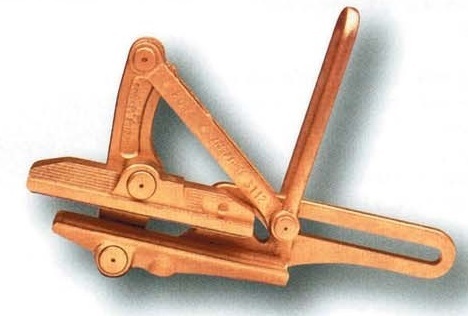 Conductor self gripping clamps are available to suit AC -AAC-ACSR and Copper conductors. there is a complete range of changeable liners. 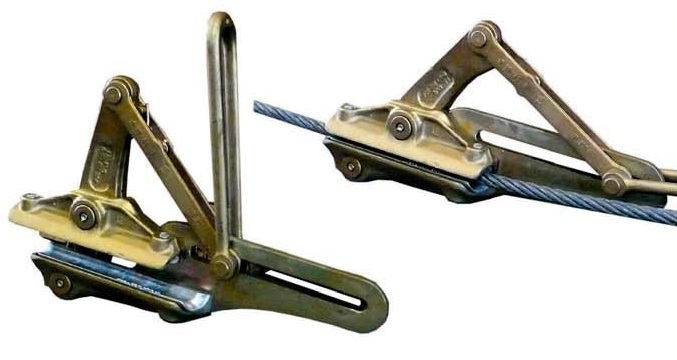 Made of high tensile alloy steel, hot forged, heat treated, finely machined and cadmium plated. they are all CE certified. 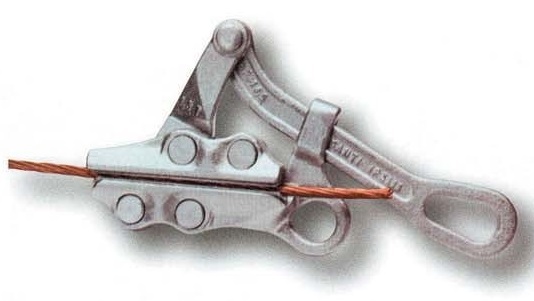 MOD.400/08 Conductor Range 7-38 mm diameter for lifting suspension conductor. liners for different size conductors.